Welcome to Sea of Smiles Pediatric Dentistry. Our office provides specialized dentistry for children and adolescents in a warm, caring and "child-friendly" environment. As pediatric dentists, our 2-3 years of additional training after dental school has prepared us for the unique dental needs of each child we serve. We focus on preventive care to help each child grow a healthy smile that will last a lifetime. Our office serves infants, children, teens and children with special health care needs in Frisco, TX. 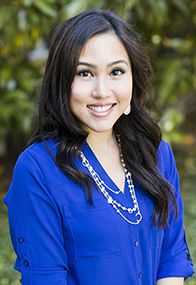 Dr. Dana Doan is a board-certified pediatric dentist who truly believes in the early prevention of dental problems and educating families about life-long healthy teeth. She uses age-appropriate techniques to provide exceptional care for you and your children.